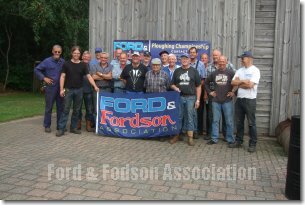 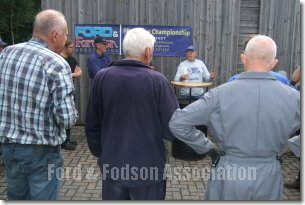 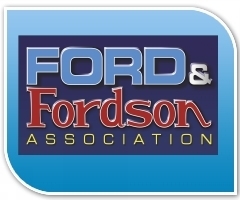 On Saturday the 17th August the sun shone as Gerard Schoenmaker and his team of helpers staged the 2013 Dutch Ford and Fordson Championship at Emmen ( DR ).The day started with a cup of tea kindly provided by Gerards wife Ineke and followed by a short briefing on the rules and regulations to be followed. 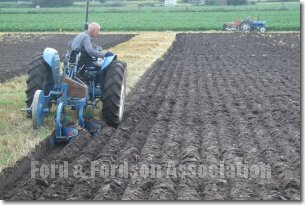 22 Ploughmen on various Ford tractors and an even more various makes of ploughs headed off to their plots on land kindly donated by Gerards brother and landowner Jos Schoenmakers. 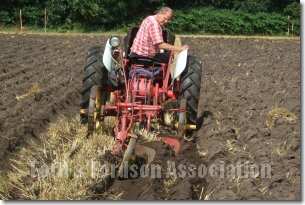 Soil conditions were dry and sandy and many ploughmen had difficulty burying the stubble, after the crown and six furrows were ploughed the whole of the ploughmen broke off for tea and sandwiches,laughter and discussions on how it was going to plough were held. 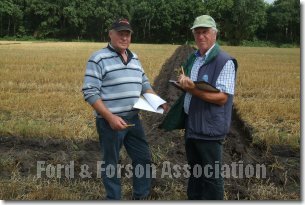 Soon they were back in action and producing a good standard of work. 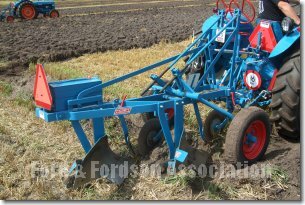 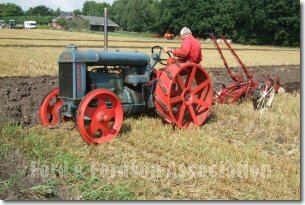 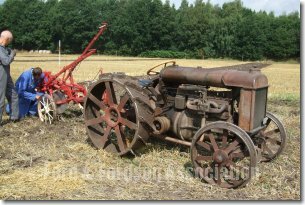 While the match was in progress I spoke to many of the ploughmen about the type of plough they used, platex seemed to be a popular make but the plough and mouldboards would not catch on in England. 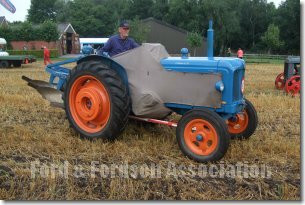 of Garich Hibma with some unusual weather protection. 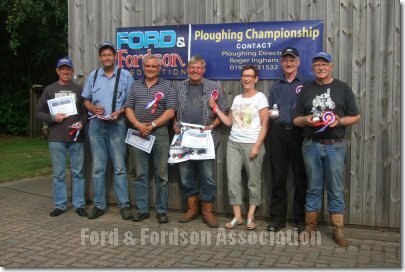 Soon the plots were completed and the judges finalised their verdicts and after a lovely tea the happy ploughmen awaited their results. 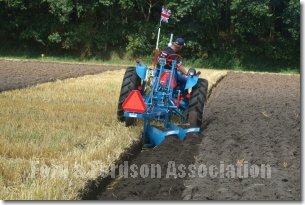 First in the Mounted class was Co Looyesteyn who ploughed a good plot on his dexta ransome combination. 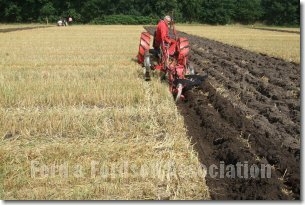 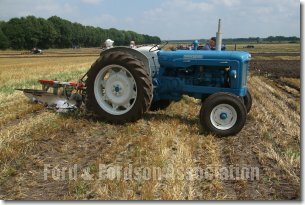 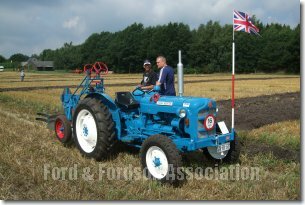 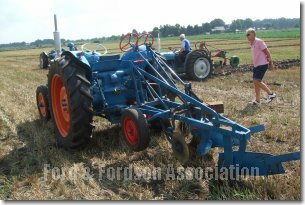 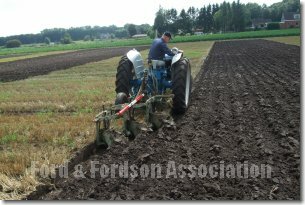 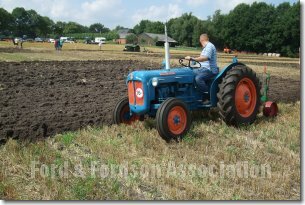 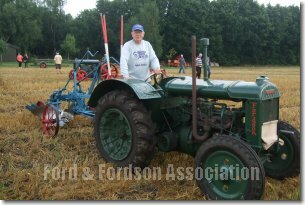 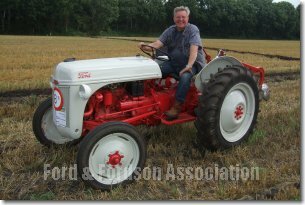 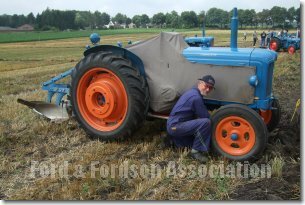 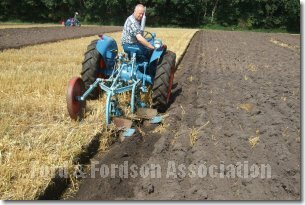 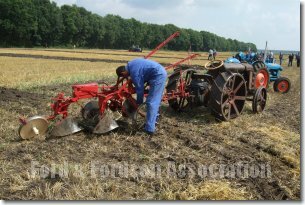 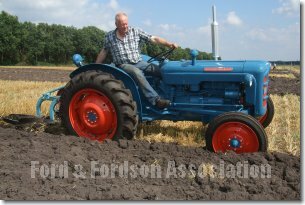 First in the Trailed class was Menno de Graf on his wonderfully original fordson and cockshut plough, both are very keen ploughmen and are travelling to England with four others to compete in the northern FFA final at Towton near Tadcaster on the 3rd of November. 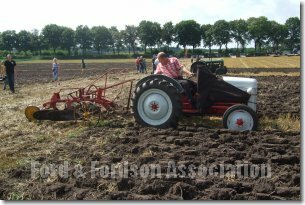 Thanks to Mr and Mrs Jarich and Djoeke Hibma who have help Gerard for many years now in organising this Ploughing event and ofcourse his wife Ineke for the all day refreshments and my invite to be part of this great annual ploughing event. 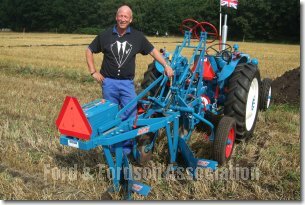 Thanks to all who made a most enjoyable day for us and I hope they could understand my Yorkshire accent.